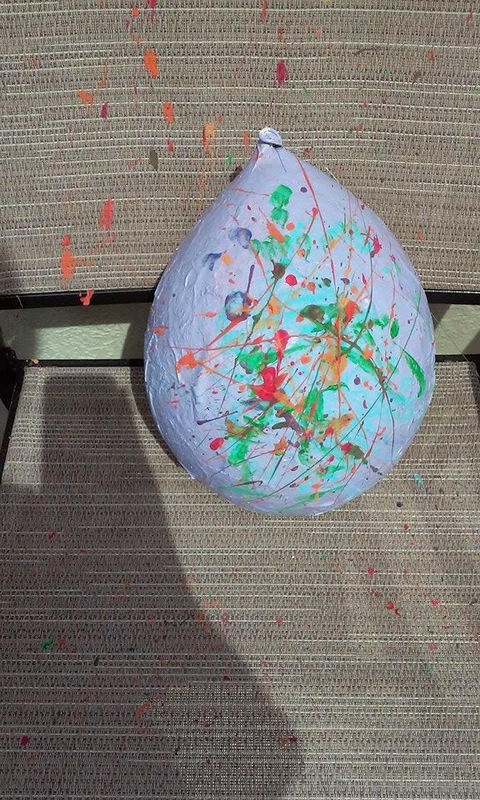 So this Easter I decided to make Paper Mache Easter Eggs. 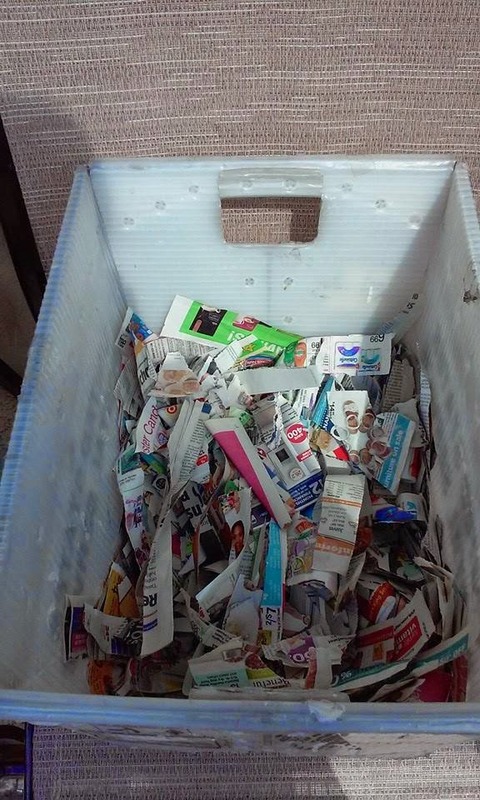 I started with having my kids rip up a newspaper, then I mixed 1 part water with 1 part flour. I bought some cheap small toys from Dollar Tree along with a package of balloons. 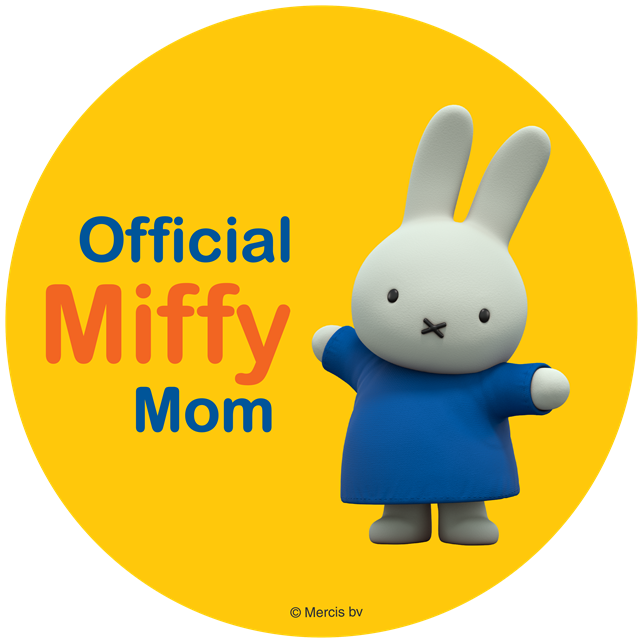 I then blew up 2 balloons and tied a knot on each. Next I tied a piece of fishing wire to the tops of each balloon about 3 ft in length. 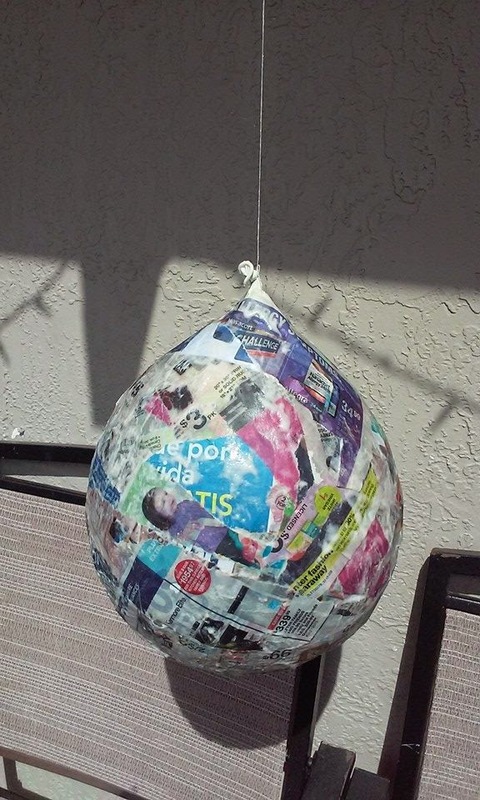 Next I used my mixture and dipped pieces of ripped up newspaper and placed each piece on the balloon up and down until I could no longer see the balloon. 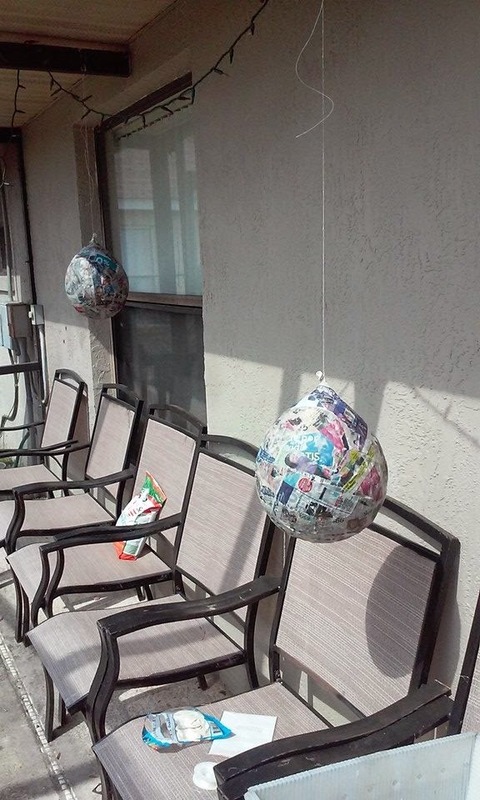 Then after the balloon was covered I went back and did more newspaper only around it this time until it was covered, finally I went crazy and covered the sides and bottom all over until I used about a half a paper on each balloon. 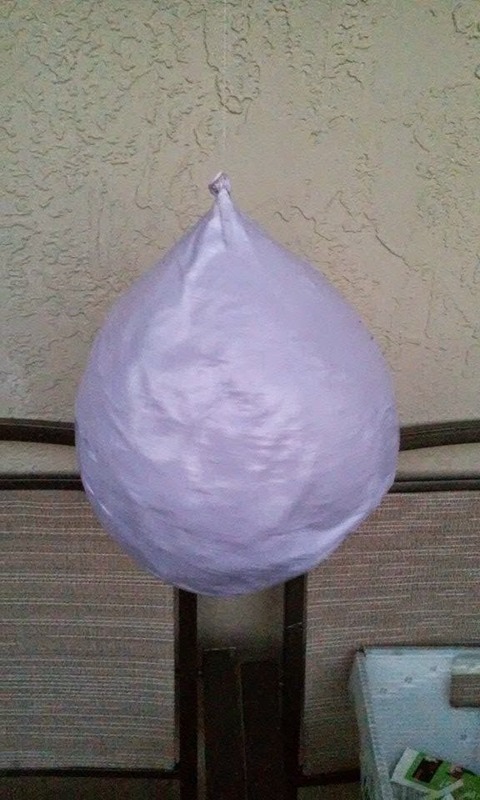 Now that I had my balloons covered in my paper mache concoction I hung them from my screen so they would not touch anything and could dry. This took awhile :( but was worth it. I bought some light purple spray paint because its faster and covers more surface, also I bought the cheap Easter egg cookie cutters (which I was gonna have kids paint in the cutters for shapes on it but then they just decided that it was easier to do splat paint, I painted the whole thing light purple first though. Also sidewalk chalk works really well on white paper which if you want the white paper look when applying the last layers use office paper, works and looks great.